A team of chemists from the University of Houston has reported the discovery of a new class of catalyst to produce ultra-high-weight polyethylene, a potential new source of high-strength, abrasion-resistant plastic used for products ranging from bulletproof vests to artificial joints. The nickel-based catalyst is described in a paper published Friday, Jan. 25, in Nature Communications. 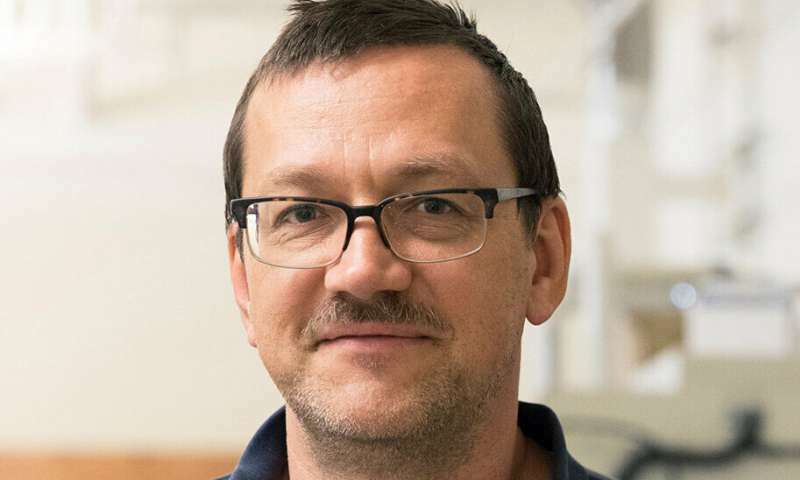 "This is a completely new class of catalysts that can produce ultra-high-weight polyethylene," said co-author Olafs Daugulis, Robert A. Welch Chair of Chemistry at UH. "We have demonstrated that this class of nickel catalysts works." Other researchers involved in the work include first author Andrew L. Kocen, a doctoral student, and chemistry professor Maurice Brookhart. All are affiliated with the Welch Center for Excellence in Polymer Chemistry at UH. Polyethylene is among the most popular plastics in the world, derived from natural gas and crude oil and used for plastic bags, shampoo bottles, children's toys and other consumer goods. Brookhart noted that all commercial polyethylene is currently produced by so-called "early metal catalysts," mainly titanium and zirconium. Nickel, one of a group of metals known as "late transition metals," is abundant and inexpensive, thus making catalysts based on nickel attractive from a commercial point of view. Brookhart's research group reported the first nickel-based catalysts for use in the synthesis of polyolefins, including polyethylene, in the mid-1990s. Those early catalysts had two nitrogen-based molecules, or ligands, bound to the nickel. The new catalyst instead relies on a single phosphine ligand. The researchers reported the new catalyst is highly active, reaching 3.8 million turnovers per hour, but is relatively short-lived, with polymerization slowing dramatically within about four minutes. "We report here that the tri-1-adamantylphosphine-nickel complex [Ad3PNiBr3]-[Ad3PH]+, when exposed to alkyl aluminum activators, polymerizes ethylene to ultra-high-molecular-weight polyethylene (Mn up to 1.68x106g mol-1) with initial activities reaching a remarkable 3.8 million turnovers per hour at 10 °C," they wrote. More work will be needed to produce a commercially viable catalyst, but Daugulis said the proof of concept offers a valuable starting point. "All practical inventions are based on fundamental research," he said. "That's where things start." Brookhart said balancing catalytic activity, known as turnover frequency, with longevity will be key to any potential commercialization. "To be commercial, a catalyst needs ideally high turnover frequency and long lifetimes," he said. "The current catalyst has exceptional initial turnover frequency, but the lifetime is short. To be interesting commercially, the catalyst lifetime needs to be improved."